Each day, more and more aspects of our lives are influenced and impacted by technology. The implications are profound. From privacy to national security, from identity to community, from the health of the public discourse to what it means to be human, the decades ahead will provoke new questions, new crises, and new opportunities. 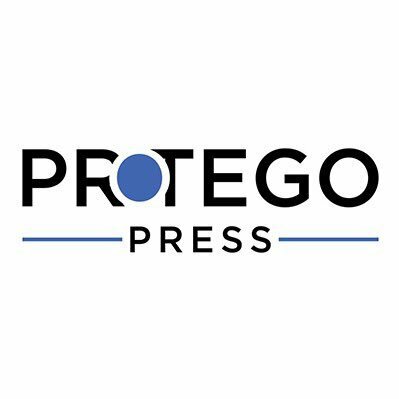 Protego Press aims to provoke and participate in the critical dialogue about the relationship between technology and humanity. We mean for this new platform to highlight and discuss potential actions, decisions and regulations that have been taken or are being contemplated which will impact and interact with laws and social norms. Given the breadth and reach of technology, the discussions here, obviously, will be broad ranging, including such technology topics such as social media, cybersecurity, blockchain, virtual and augmented realities, and many others. We will endeavor to explore how these technologies impact human rights and liberties; change our relationships with one another, with industry and with government; and challenge us to imagine the future of the species. Our purpose is to provide a non-partisan platform to host well-considered arguments. Where we give voice to a partisan perspective, we will aim to provide a counterpoint in turn. We aim to provide ongoing commentary, with reasoned and practical solutions to problems encountered by individuals, corporations and governments and civil society. Starting out, we will publish several in-depth articles per month. As we grow, we hope to provide a regular dialogue on more real time developments, be it new innovations, emerging debates or global events. The name, Protego Press, is, as anyone that has read J.K. Rowling’s novels may recognize, a play on a wizard spell- the Shield Charm. It’s employed to defend against physical threats and spells. As technology becomes critical to our survival, humans must think critically about its evolution. We believe this platform will provide insights and viewpoints that hopefully will shield society from the externalities of technology even as we embrace its magic.